Vincent van Gogh (1853-1890) felt a profound empathy with the natural environment, and considered the spiritual essence of trees to be comparable with that of human figures. "Vincents Trees" traces Van Goghs development as a painter of trees in the natural landscape from his home province of North Brabant, through Paris to Provence. 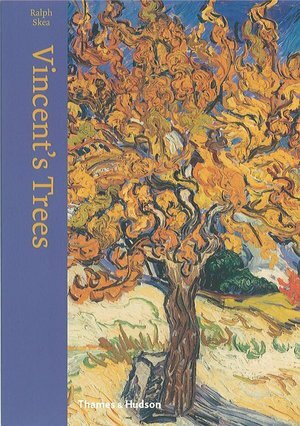 Ralph Skeas elegant prose is accompanied by Van Goghs vibrant illustrations of trees, which range from pencil and ink sketches to watercolours and oil. Stylistic experiments encompassing Pointillism and compositions inspired by Japanese prints give way to the expressive, painterly depictions of his later work. The book also includes quotes from Van Goghs letters, which convey the depth of his feeling for the natural landscape, and the force with which it affected him.